Apple today squares off against the U.S. Department of Justice in a Manhattan courtroom, defending itself against charges that it was the “ringmaster” of a cartel of publishers that conspired to raise prices in the e-book market. And, at first glance, the odds appear to be stacked against the company. The DOJ claims to have clear evidence of collusion — incendiary email messages from Apple co-founder Steve Jobs and other company executives, and the like. The five publishers with which Apple allegedly schemed — HarperCollins, Hachette, Macmillan, Simon & Schuster and Penguin — have all since settled, leaving it as the lone company fighting the suit. The judge presiding over the trial, Denise Cote, said earlier this month that she doesn’t think it has much of a chance of winning. And legal experts are dubious about Apple’s chances. But then neither would Apple. Which is worth considering, because the company is clearly taking a “come heavy or not at all” approach to this case. 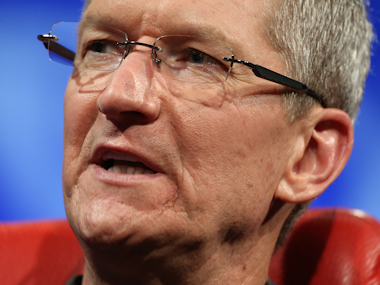 To wit, CEO Tim Cook’s comments last week at our D11 conference. In other words, it’s Apple’s opinion that the government’s case against it is utter fantasy. And today the company and its legal team will set out to prove it, arguing that Apple acted lawfully when it entered the e-book market in 2010, and that its entrance transformed the market for the benefit of all. Apple and the Department of Justice both declined comment on the case.